What happens to us when we die? Nobody truly knows the answer to this question, but the simple thought of it can be terrifying. There are many different beliefs and theories on the afterlife: heaven and hell, reincarnation or taking on some other spiritual form. 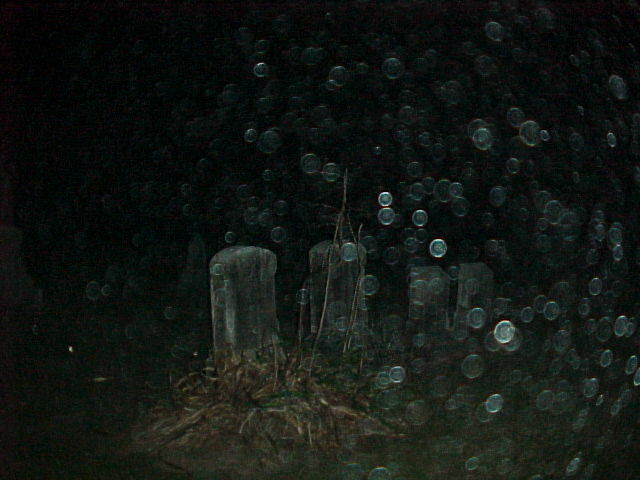 Most people believe there is something after death, whether because of their own religious beliefs, theories, desires or unique encounters with the paranormal. To some people, the fearful thoughts of nothing waiting for them after death or something worse than death can lead to an obsessive preoccupation with the paranormal. People do not want to think that there will be nothing waiting for them after this life, but it is hard not to think about our own mortality when death surrounds us. This obsessive thought pattern is apparent when you see the popularity of television shows and movies that explore and help explain the . One reason for the popularity of the paranormal is because it’s easy to believe in. If we believe that everyone has a soul and there is some form of life after death, then it seems perfectly reasonable that some souls could get lost and linger around in locations they are familiar with. There is even the thought that they could escape their soul’s destination to wreck havoc for the pain they were caused when they were alive. I know I’d like to cause a little chaos of my own, and I’m not even dead yet! Even if you don’t hold beliefs of paranormal existence, I’m sure you have still had your share of strange occurrences that have no scientific explanation. This is where paranormal investigators come in and educate others on whether that particular experience was an aberration or was in fact contact from the other side. It’s easy to see why the afterlife and the paranormal have become popular culture today. These are things that affect everyone in the world and there are an infinite number of possibilities of how you can market this idea. There are many highly-popular televisions shows that cover ghosts and paranormal occurrences. The horror movie industry has also been cashing in on the same subject recently with hit movies such as After.Life and . Of course, this is not a new obsession for society. There were times when Ouija boards were a popular method of trying to make contact with those who have passed on. We all remember the classics, such as Poltergeist, that terrified while also making people think of their own mortality at the same time. There are numerous classic texts that cover the subject as well whether it is Shakespeare’s Hamlet, the ancient Greek texts that feature spirits, ghosts and Hades such as in the Odyssey or the same topics being strewn throughout the entirety of the Bible. We believe in these products! Ghostwatcherz fully endorses think links below from our partners. Death can be a frightening thought and even if we admit it or not it constantly crosses our minds. The thought of an afterlife helps us to deal with those anxieties and gives us hope that we can accomplish all the things we didn’t in life. I personally have recurring thoughts about the paranormal and ghostly spirits, because as a child there were times when I was frequently visited by other-world entities. These were both frightening and frustrating times, because I was scared to death and no one believed me when I told them what had happened. I believe that these scares helped further develop my love for horror movies however, and gave me a true appreciation for what paranormal investigators do. I also greatly enjoy visiting haunted grounds and have done so a few times over the last year or so. There is nothing more fascinating than discovering the unknown! PREVIOUS POST Previous post: Souls. How far do you travel?